At an election rally in Chopra, Uttar Dinajpur, Mamata Banerjee said Trinamool Congress will help form the next government at the Centre. 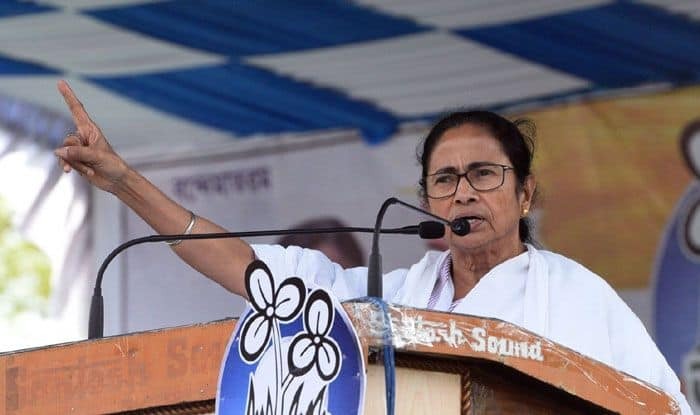 Trinamool Congress supremo and West Bengal Chief Minister Mamata Banerjee on Wednesday said the upcoming Lok Sabha elections will drive the BJP out of power and ensure that Narendra Modi will never again be the prime minister of the country. “This time it is a very important election. This election is to defeat the BJP. It is to drive out the BJP from power … This election is to make sure that Narendra Modi can never be the prime minister of the country again. We must ensure that they (BJP) never come back,” Banerjee said at an election rally at Chopra in Uttar Dinajpur. “The TMC will form the next government. We will drive out the BJP from the country,” she said urging people to vote for Trinamool Congress. Taking a jibe at Modi, Banerjee said that for the past four-and-half years the prime minister was busy touring foreign countries. “Suddenly he became so conscious about the welfare of countrymen”. “Five years back he was the chaiwala and now he is suddenly the chowkidar. And after the elections, people will not find him anywhere. For four and half years he was busy touring the globe and now there is no employment here, farmers have died failing to pay their debts… He was mum when people were lynched. I call him (Modi) dangabaaz (rioteer) and a lutera (looter),” she said. The Darjeeling Lok Sabha constituency is set to witness a keenly-fought contest between the two warring factions of the Gorkha Janmukti Morcha (GJM) — one led by its supremo Bimal Gurung and his one-time protege Binay Tamang.